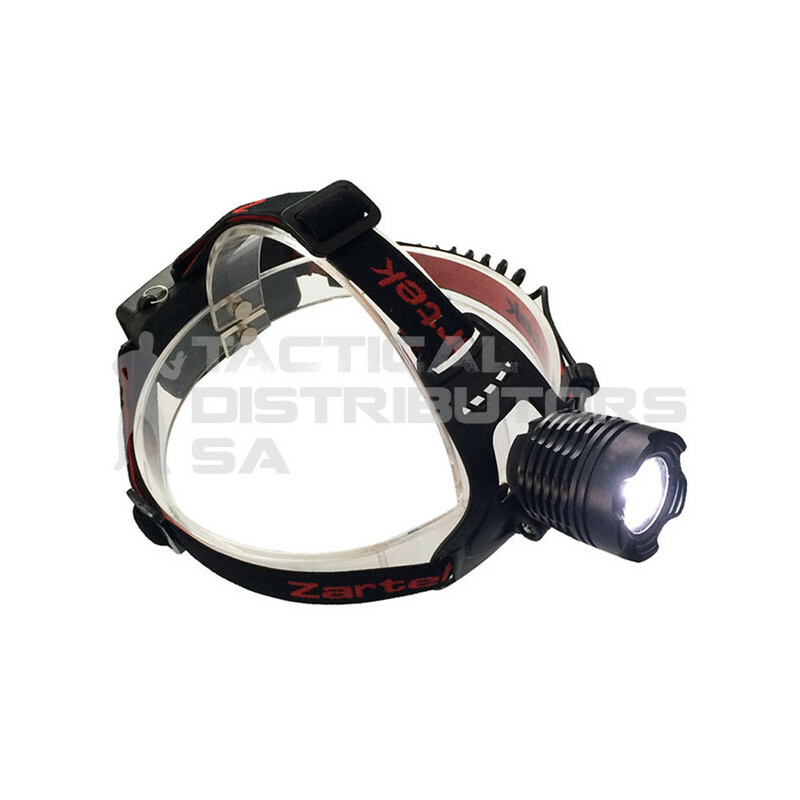 Description Zartek ZA-432 Rechargeable 600 Lumen LED Headlamp with a 16 hour battery life. Features Extra Heavy-duty Aluminium Casing, Magnifying Lens for Uniform Light Dispersion, Focus Beam Flood to Spot, Vertical Beam Angle Adjustment, Glowing Back Light, Rubber Padded Battery Case. Package Includes 1 x Headlamp, 2 x 2200 Li-ion Battery, 1 x Charger.